One of the most popular among gamers indie game Minecraft, in a relatively short period since its first appearance to the world, had to go in more than a dozen different versions. Each of them had their merits, but there was a lot of bugs - however, the latter in later releases usually corrected. If you are not new to Minecraft, you probably tested the gameplay is not one version of the game. You probably have your own preferences among them. When do you just have to master the subtleties of "microptera" because hitherto you were not able to play in this "sandbox", follow the advice of many more experienced gamers and try to download and install on your computer version 1.7.3 Beta. It is in recognition of a considerable number of players previously considered if not the best, one of the obvious candidates for such an honorary title. Will certainly install along with the game itself and a special program is Minecraft Forge. Without it you can not then add various interesting game modes, if you have the desire to try them out. Then running gameplay, enjoy its features. In Minecraft 1.7.3 Beta, they are really wide. The main thing - here was added one of the most used in the game mechanisms - piston. Create with it, the secret door, trap (they will come in handy when participating in multiplayer game to counter her riverstown members) and other useful devices. Try to craft a piston - of this type in your inventory of cobblestone, any planks (type of wood from which they are made, not affected here, even the color of the finished product), dust, Redstone and iron ingots. Last you will receive if fired (with coal) in a furnace ore the corresponding metal. Place one ingot in the Central cell of his workbench, he put a unit of red dust, on either side of them place four cobble, and the top row fully occupy three blocks of boards. Adding to this mechanism the green slime, you will get a sticky piston. He can not only move the blocks and then return them to the place. To fully enjoy the fact that in 1.7.3 Beta many bugs with the pistons had been eliminated. For example, when shifting from such tools. blocks of ice last longer give rise to turbulent water flows. Also, you probably notice (if you are familiar with previous versions of the game): the pistons in all positions of any chain now properly included. However, you are in connection with the correction of certain bugs and some reasons for disappointment. For example, the fact that you are now without adding special mods to find the legendary Herobrine (he was removed by the creators in 1.7.3. Beta). Try to get wool without having to destroy his sheep. Just get the scissors, with which you can easily cut the fleece the aforementioned animals. If you have no such useful things in the inventory, scratte them. To do this you need only two iron ingot. Put one of them in the Central slot of a workbench and the other at its lower left corner. These scissors are designed almost 240 applications - and after their failure fabricate a new one. If you really prefer to install version 1.8.1 (not Beta 1.7.3), try humor to be found here Bahamas. Do not be afraid, for example, that the rain is here even through solid blocks, and the food - if the hand with her to open the chest - just disappears instantly. 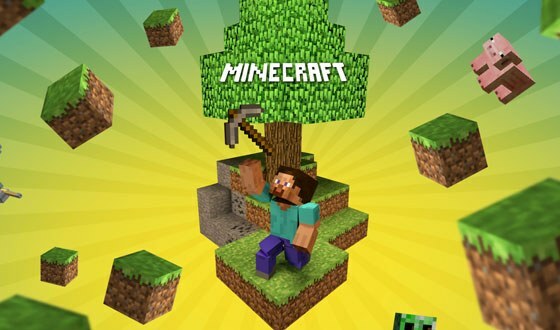 Try also version Minecraft 1.8.1 - many gamers consider it to be its best. However, with it you will nitebytes fear to scare you at first, will be the moment that Endermen here make the same "afterlife" sounds that zombies.